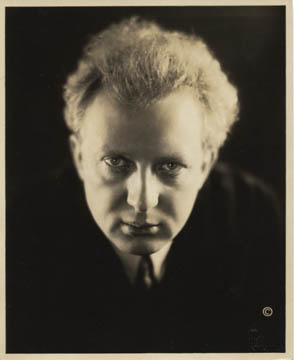 Among the great conductors of the twentieth century, Leopold Stokowski had a unique and fascinating career. Unique in the variety and quantity of his performances and recordings of music, and especially of new music, from composers of all musical persuasions. Unique in his role in disseminating music to the public and in particular, the American public (most of whom in 1920, before the advent of radio and orchestral gramophone recordings, had never heard a symphony). This was accomplished through Stokowski's innovative repertoire, innovative concert formats, youth concerts, pioneering broadcast techniques and especially by his recordings. This dissemination of music was aided by Stokowski's flair for promoting himself and his music and by the popularity of his stream of great recordings from 1917 to 1977. Unique in his involvement with the development of recorded sound. Stokowski was involved in orchestral recording from the acoustic to the quadraphonic eras, and in pioneering efforts in High Fidelity and stereophonic recording with the Bell Laboratories. 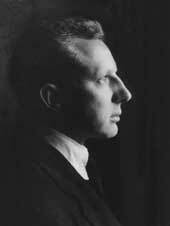 Listing of the Concerts of Leopold Stokowski 1921-1932 . 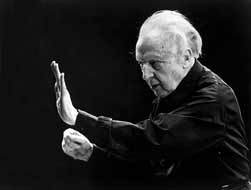 Listing of the Concerts of Leopold Stokowski 1950-1974 . 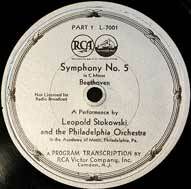 This page describes the information and recordings of Leopold Stokowski available in this www.stokowski.org site. This site concentrates on Stokowski's recordings as a witness not only of Stokowski's career, but also of the evolution of sound recording during his era. This site further benefits from the extensive scholarship and efforts of a number of researchers and amateurs of the work of Stokowski, so generously shared with all of us who enjoy Stokowski's legacy. Primary development of this site is first, the acoustic recordings of Stokowski and the Philadelphians from 1917 to 1924, and second, the complete legacy of electrical recordings of Stokowski and the Philadelphia Orchestra from 1925 to 1940. 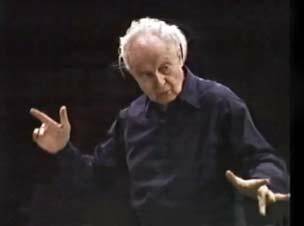 The website also includes a complete discography of Stokowski recordings 1917-1977 and a listing of his thousands of concerts performed during his long career, as well as a biography and excellent articles by José Serebrier, Edward Johnson and James H. North. 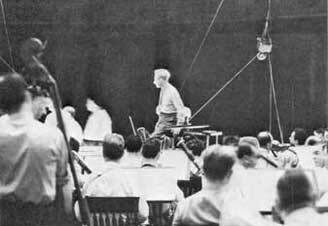 The recordings of Stokowski and the Philadelphia Orchestra included here are nearly all of the commercial recordings released 1917-1940 in .mp3 format. They are not from any commerical CD, and are from my source material and those of several friends who share the admiration of Stokowski's art. However, they often lack advanced restoration technology (no de-clicking or CEDAR) and are therefore inferior to the many excellent restorations of the Stokowski - Philadelphia Orchestra recordings, about which you can read more at CDs of Leopold Stokowski and the Philadelphia Orchestra . I hope that the Stokowski material on this site will allow you to appreciate Stokowski's art and enjoy the performances and the music, which give great pleasure today, even sixty to ninety years later. 1. Stokowski - Philadelphia Orchestra acoustic recordings from 1917 to 1924 and Stokowski electrical process recordings from 1925 to 1940. 2. Information about recordings, concerts, and the career of Leopold Stokowski 1909-1977. 3. Another project of this site is a biographical listing of the Musicians of Leading United States Orchestras, including complete musicians rosters of the Boston Symphony, the Chicago Symphony, the Cleveland Orchestra, the Philadelphia Orchestra, the Metropolitan Opera Orchestra, and the San Francisco Symphony Orchestra from the beginnings of their organization until today. In researching the "Principal" or "solo" musicians of the Philadelphia Orchestra, I was surprised to find how little information is available about the fascinating story of their careers. Therefore, I have included pages which list the Principal musicians of the leading orchestras listed above from their beginnings, and also pages that seek to list all the musicians of each orchestra from their beginnings. (see the complete links further down this page). In the paragraphs below, you will see links to all the pages of this site featuring the acoustic recordings, the electrical recordings, and other Stokowski material, plus the pages on the musicians of leading US orchestras, and articles by musical scholars. Simply click on the links below. 1. Stokowski Acoustic and Electrical Recordings. In addition, there is a page describing the Victor Program Transcription Records . These were the series of 33 1/3 RPM long playing records which RCA Victor tried (unsuccessfully) to introduce during the period 1931 to 1933. This ambitious venture failed in part due to technical problems described by in the page, and also because it was undertaken during what were the most difficult years of the 'Great Depression'. 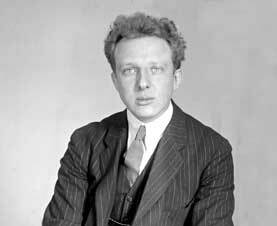 In addition, on this site, there are a number of pages of information related to the career and recordings of Leopold Stokowski. 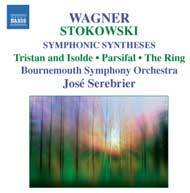 - an article about the Orchestral Transcriptions of Leopold Stokowski by Maestro José Serebrier	, featuring the story of his superb new recordings of Leopold Stokowski Transcriptions performed by the Bournemouth Symphony. - also, a selection of the letters to Stokowski on his 90th Birthday in 1972 from the many composers championed by Stokowski - from the collection of Edward Johnson. - also, a A Discography of the recordings of Leopold Stokowski 1917-1977 is in the process of being compiled for your reference at www.stokowski.org/Leopold_Stokowski_Discography.htm. Theo van der Burg, expert on Leopold Stokowski, Sergiu Celibidache and a number of other conductors has developed a new website which introduces his private collection of self-recorded music in concerts by these conductors. His collection, built over the last five decades includes recordings of the Philadelphia Orchestra, the NBC Symphony Orchestra, the New York Philharmonic, The New York Symphony Orchestra, the Hollywood Bowl, the American Symphony Orchestra, as well as many concert recordings from Europe and North America. Also newly added is a Fritz Reiner Discography which seeks to document all the commercial and private recordings of Fritz Reiner. Also added is a Fritz Reiner Biography which provides a brief biography of the rich and varied career of Fritz Reiner. In constructing this site, there seemed to be a surprising lack of historical information about the musicians of the Philadelphia Orchestra over the last 100+ years, and also, in general, about the musicians of other leading symphony orchestras of the United States since their creations. I have attempted to constuct, out of this interest, brief biographies of the all of the musicians of the major orchestras listed below. 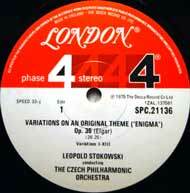 - A listing of ALL the Musicians of each Orchestra since the orchestra's inception. This list includes the names, country and date of birth and death, instruments, positions and dates of service of all known permanent musicians of the orchestra from its beginning. This is a listing of all the Principal musicians of the Orchestra, chronologically during their histories, with a brief biographical sketches and photographs. Your added or corrected information on any of these musicians would be welcome simply by contacting this site as shown at the foot of this page .